Tide Table Chart provides high tide and low tide forecasts for thousands of tide stations across the world (including USA, Canada, UK, Germany, Australia, New Zealand, ...). 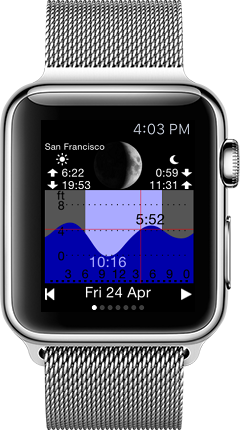 Display high and low tides on Android, iPhone, Apple Watch, Gear S2, S3. 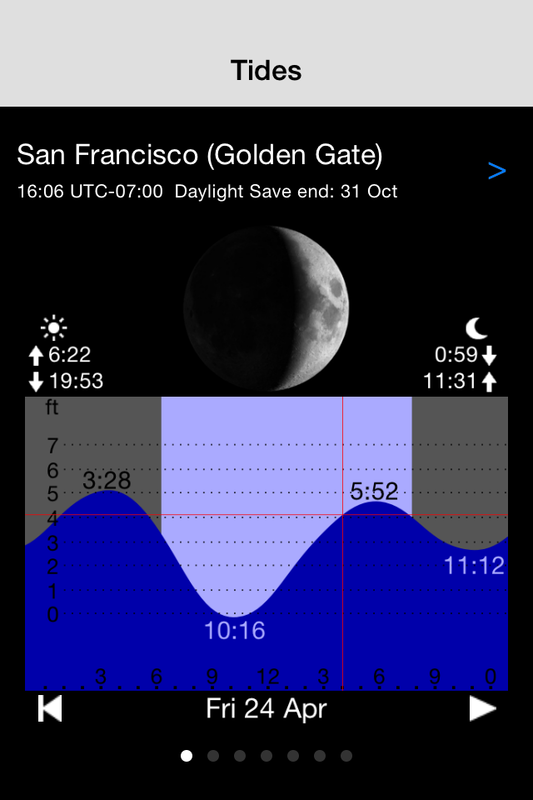 Swipe left / right to see the tide chart of the next days or play an animation of moon phase and tide changes to get a quick overview. The tide prediction information is stored on your phone so that you can use the app without internet connection. Whether you love to surf, dive, go fishing or simply enjoy walking on beautiful ocean beaches, the app Tide Table Chart will provide quick and easy access to high and low tide forecasts. Tide data displayed by the app are based on astronomical tide predictions and do not take into account the effects of strong winds, rain, floods and other meteorological events. Do NOT use the app for navigation or any other purpose that may result in personal injury or property damage. Use it at your own risk.